Charla impartida por Pablo Gervás durante la Semana Complutense de las Letras (abril 2013), titulada "Protagonismo y autoría en ficción interactiva", donde desarrolló un pequeño recorrido por los mecanismos básicos de la ficción interactiva, centrándose en particular en cómo se utilizan para potenciar la ilusión de protagonismo que se produce en el lector y en cómo pueden llegar a reducir el margen de maniobra del autor a la hora de controlar su propia obra. Investigadores del grupo NIL, con Pablo Gervás y Alberto Díaz a la cabeza, participan en la organización de SEPLN 2013. Alberto Díaz ha presentado parte del trabajo que se realiza en el grupo en el programa de radio "Principio de Incertidumbre" de Radio Extremadura. La entrevista aparece en la segunda parte del programa. 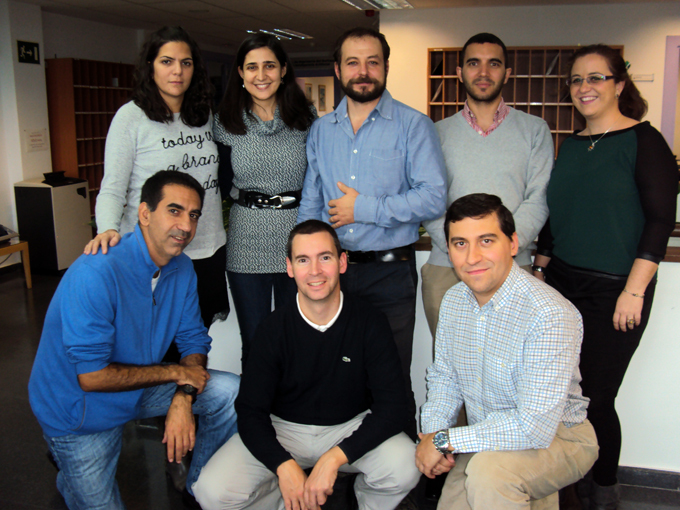 On Monday 31st January, our Faculty has received the visit of a group of ENS Cachan students. They came from Paris to known about the research we are doing here. Federico Peinado gave them a talk about Language, Storytelling and Videogames, presenting our research group and his own work in the field. Merci beaucoup for your visit, folks! The UMIREC corpus, ellaborated in collaboration with the Genesis research group at MIT, is publicly available. This corpus comprises 62 files in English (30 folktales and 32 Wall Street Journal articles) annotated with the location of referring expressions, coreference relations between the referring expressions, and the descriptive and distinctive information associated to the referring expressions. As a continuation of some issues related to her thesis, Raquel Hervás has completed a research stay of six months at Massachusetts Institute of Technology (MIT), Cambridge, USA. In collaboration with the Genesis research group at the Computer Science and Artificial Intelligence Laboratory (CSAIL), Raquel has applied some ideas from her thesis to the analysis of referring expressions in narrative texts and newspaper articles. NIL has been granted financial support for a 3-year (2010-2012) research project in conjuntion with LDC and JULIETTA research groups.